I just found this today. Was trying to figure out how to make it that when I made a “future dated” post, that when the post finally published the site would be updated to show it. 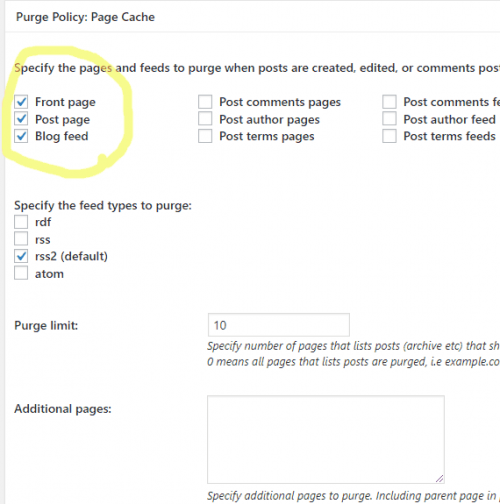 What I had been doing was clicking a “Purge All Caches” every time I published a post so that it would show up on the site. That seemed… dumb. 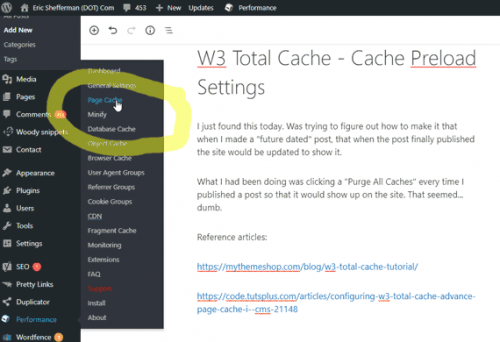 I found out that there are submenus in W3 Total Cache that have important boxes to check off (which aren’t checked off by default). Then go to the “Cache Preload” section. 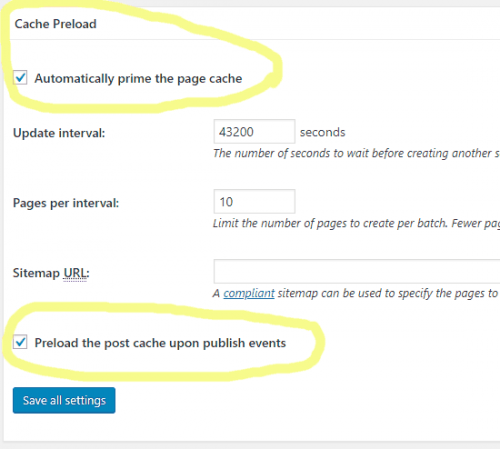 I set it to both automatically prime the page cache and to preload the cache upon publish events. To me, that means that when I make a new post, it should update the cache automatically without me needing to purge the cache. I also set the update interval to 43200 seconds (12 hours). I don’t know what this setting does exactly, however, since my sites don’t change often and don’t allow comments, there’s no need to keep rebuilding the cache except when I publish something new. I also made sure the “Purge Policy” includes purging the front page and post page so that the “recent posts” lists in the sidebar will update. So that’s the changes I made.